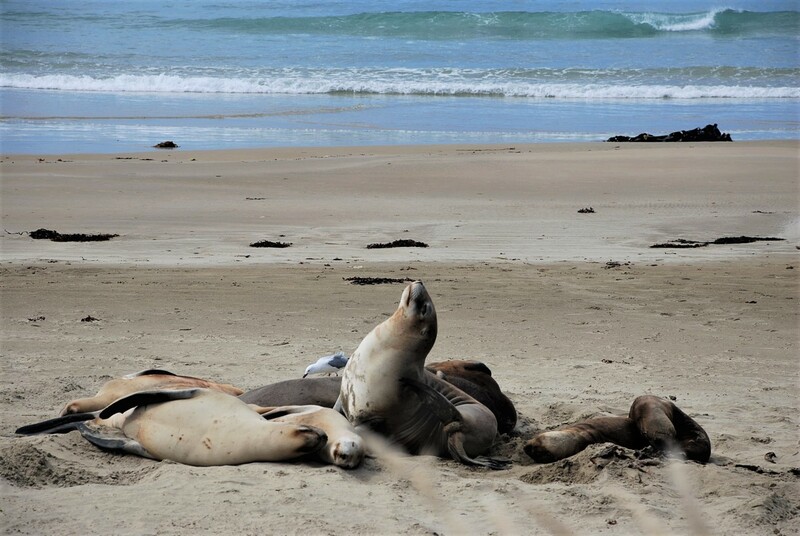 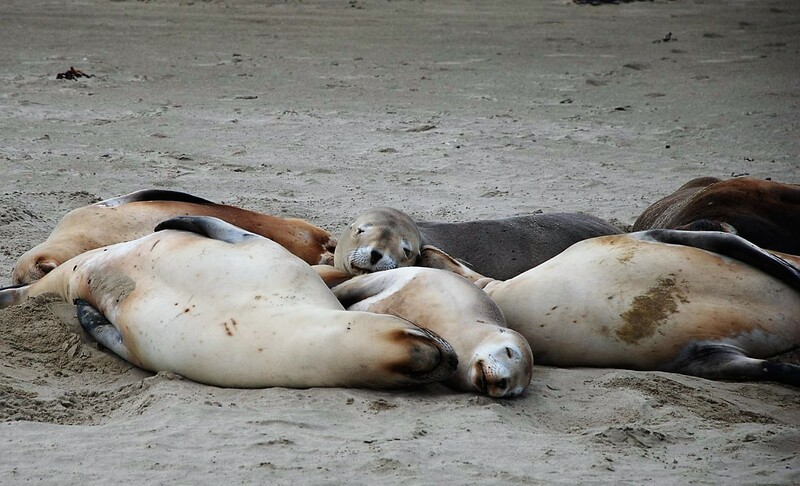 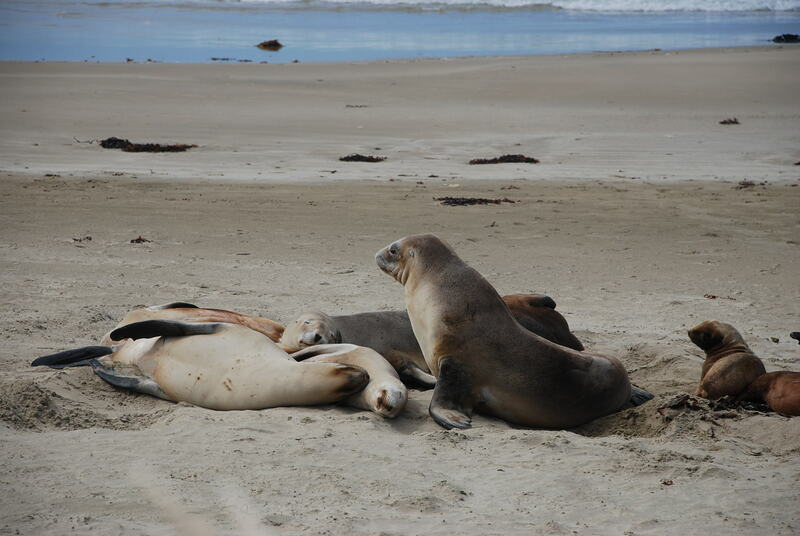 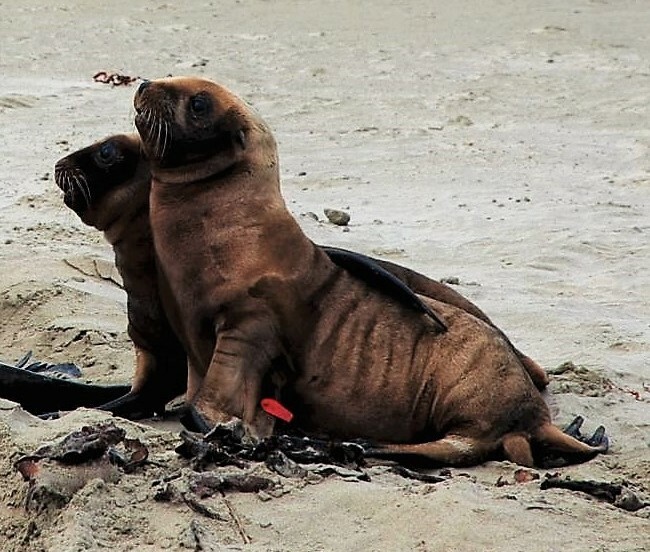 After seeing the two females and two pups ( see Sea lions of Jacks Bay – Part one post), the next day we had family visiting and we took them to Jack’s Bay to see if the same sea lions were still there. 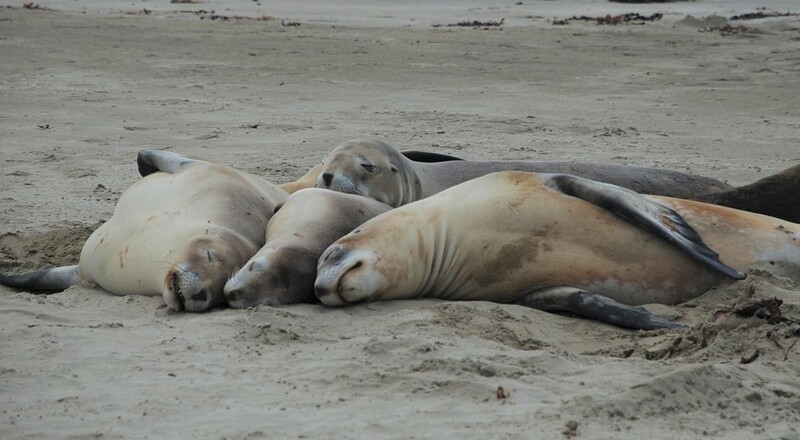 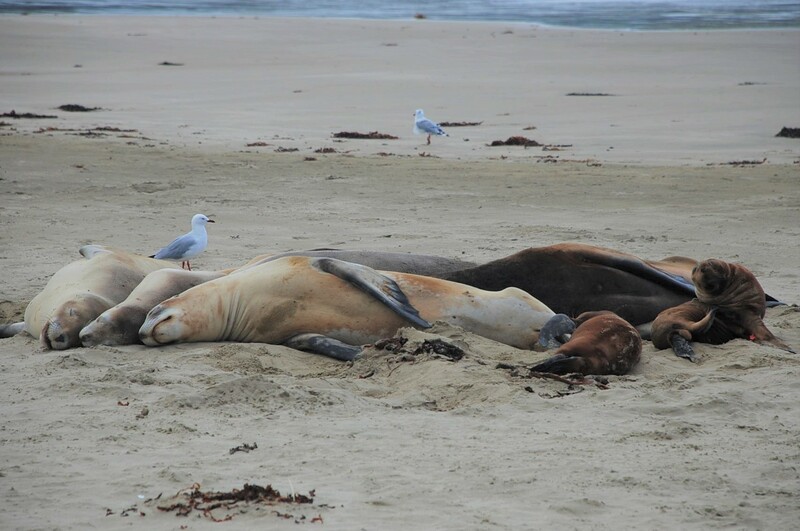 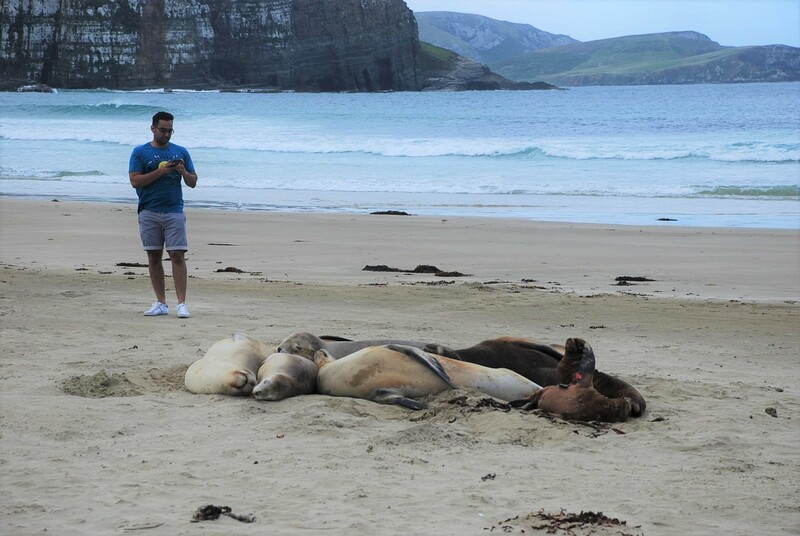 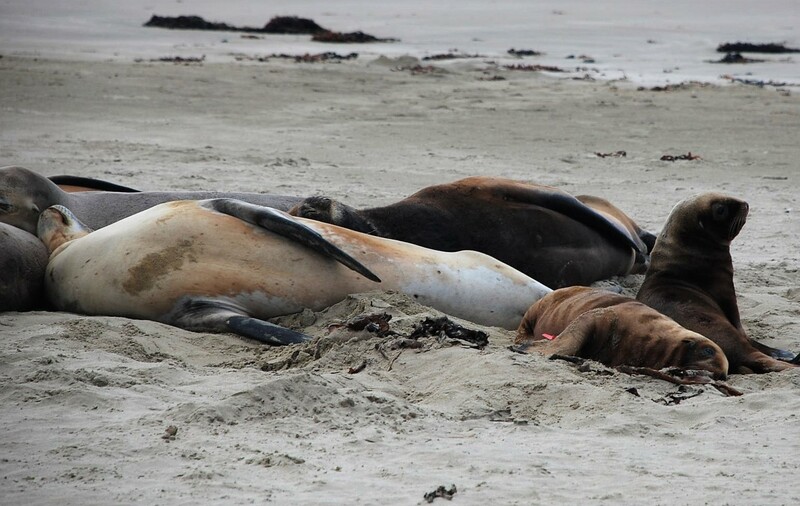 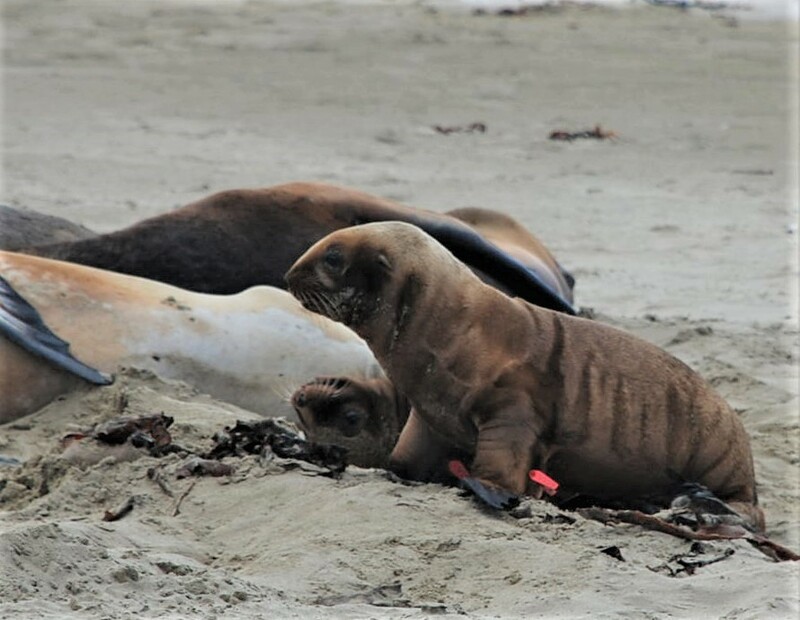 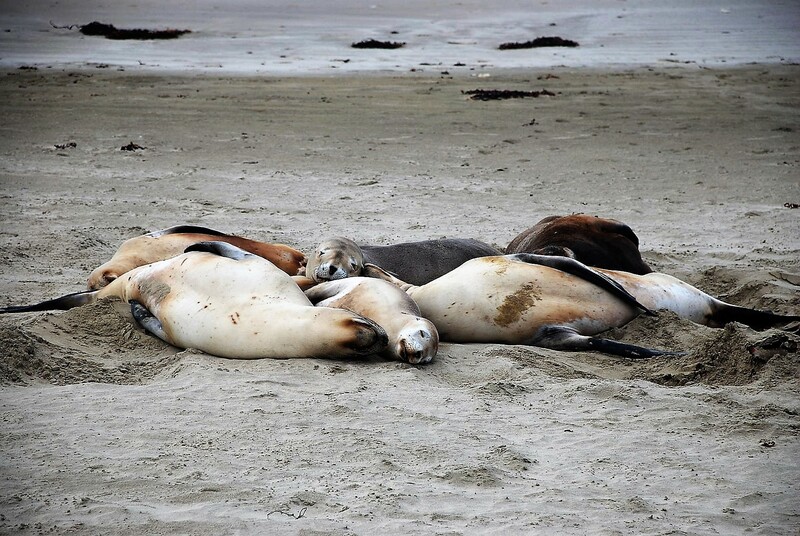 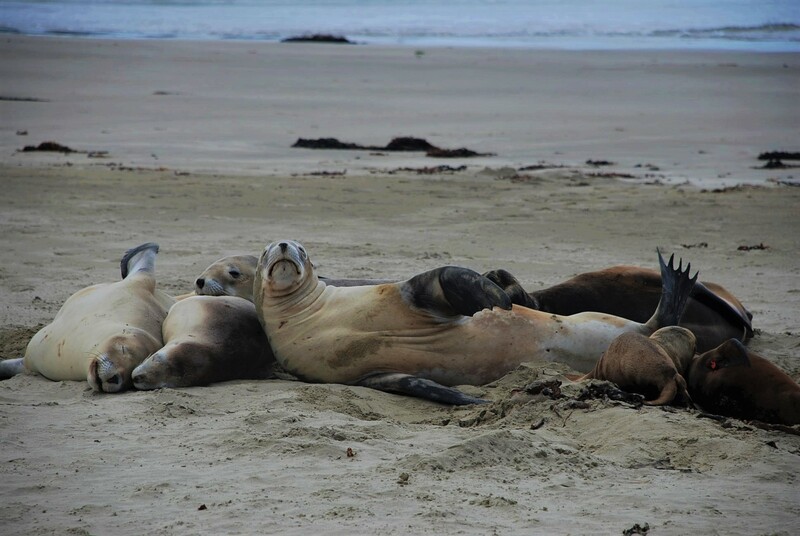 As we walked along the beach we could see a group of sea lions on the beach, imagine our surprise when we saw one large male, two young females (maybe last years pups) three larger females and the two pups – eight sea lions in one place, how many times do you see that!! 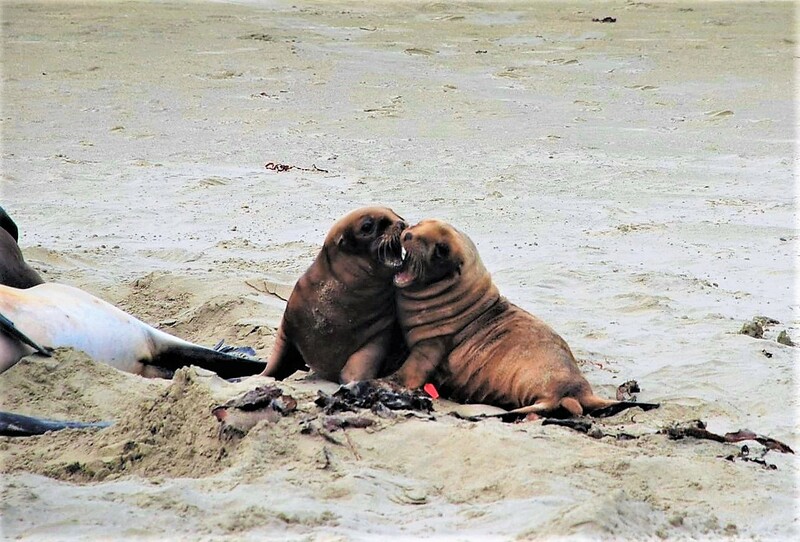 The main group were sleeping but the pups seemed to be restless, just like naughty kids – the largest female barked at them as if to tell them to be quiet. 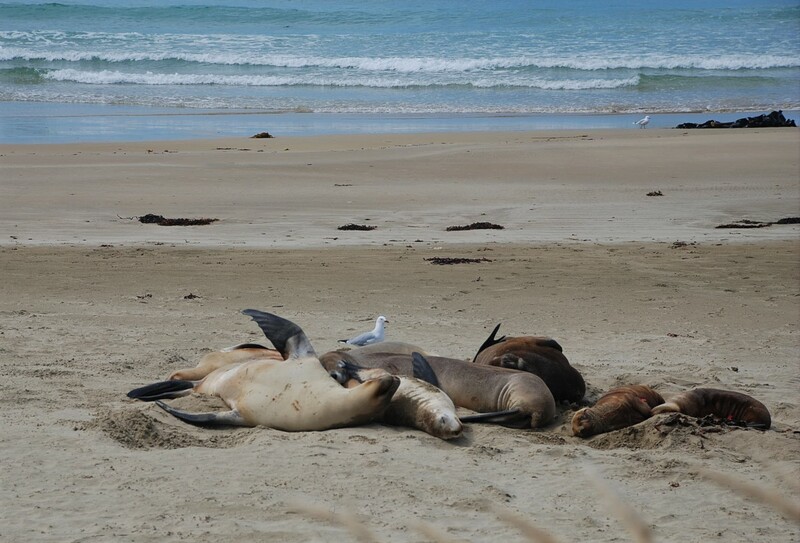 Jack’s Bay is a small settlement in the Catlins, close to the mouth of the Catlins river. 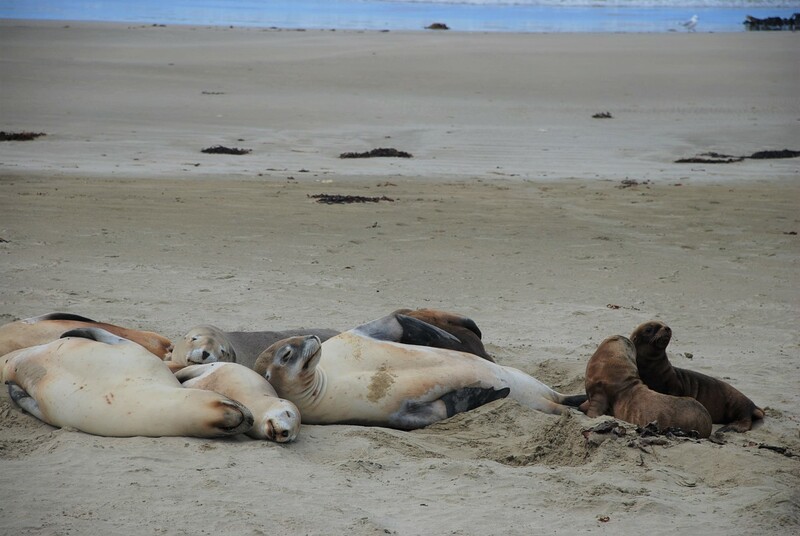 A popular holiday spot with a seasonal population, there are numerous cribs at the settlement. 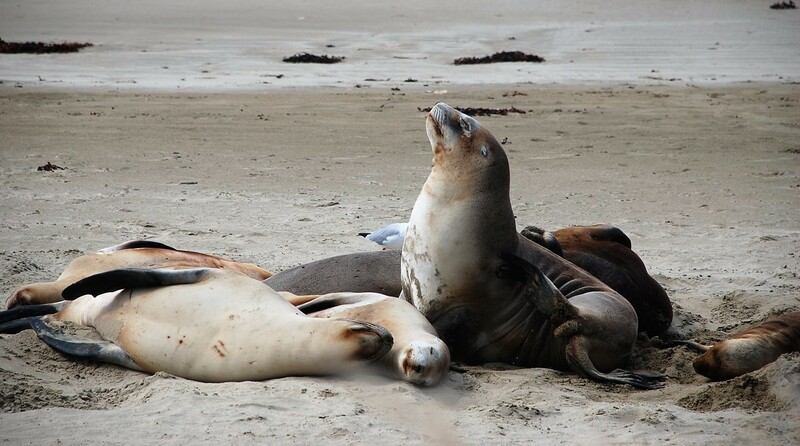 Jack’s Bay is noted for a large blowhole (post coming soon), known as Jack’s Blowhole, a 55-metre-deep blowhole (200metres from the sea) that formed when part of a sea cavern’s roof collapsed.